Hilary Duff’s Tinder date was interrupted by a former co-star. The 27-year-old actress recently revealed that she had signed up to the online dating app in a bid to find love. One of her first meet ups through the app saw her going bowling with her mystery beau. 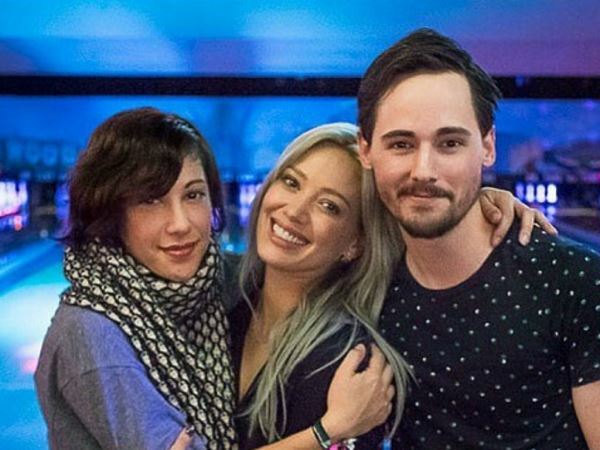 But Hilary’s ex Lizzie McGuire co-star Lizzie McGuire stumbled upon the actress on her evening out, and had no idea that she was on a date. Instead he took the opportunity to enjoy a mini reunion with Hilary – 12 years after he last saw her. Hilary starred as the titular Lizzie in the hit Disney Channel TV series from 2001 to 2004, while Jake appeared as her brother Matt McGuire.